Jhead the Mighty is even mightier! 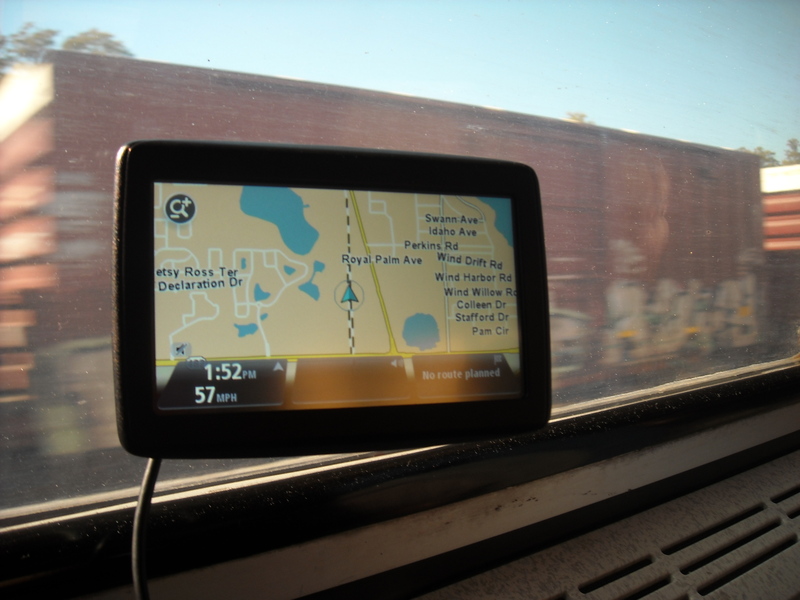 I determined the correct time from a photo that included my Tom-Tom GPS, which was stuck on the train window. I brought it for the entertainment value of knowing how fast we were moving, and where we were. By the way, from Florida to Washington, D.C., the max speed was usually right around 80 mph. From D.C. to Philly, on improved tracks and with electric engine, the max speed was more like 110 mph. Jhead calculates the difference between the two date/time entries, and adjusts every date/time entry in the exif metadata by the calculated difference! Next time I have a metadata issue with jpegs, I’ll look carefully at jhead’s documentation page FIRST! 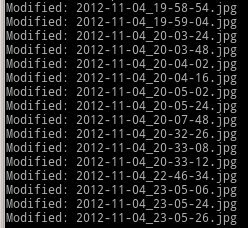 Tags: .jpg, Amtrak, D.C., date fix, exif, Jhead, jpeg, metadata, Philadelphia, Philly, photography, time fix, Washington D.C. I still have 28 files which had been manually renamed in ages past which jhead refuses to rename, complaining that “Possible new names for ‘filename’ already exist” I may have to rename those manually. We shall see. On a side note, I had to separate out .bmp’s, .mov’s, .tif’s, etc. and will have to deal with them later. Jhead seems to work only with jpeg’s. Once I get the renaming and organization settled, it will be time to go to work on tagging with KPhotoAlbum. Wow. 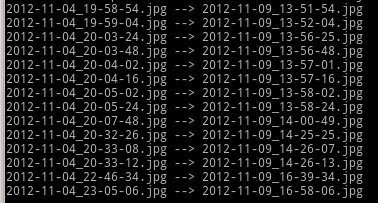 Stand back and enjoy the show as hundreds of pictures are automatically renamed, so they can now be sorted by the date and time they were actually taken. Nice!